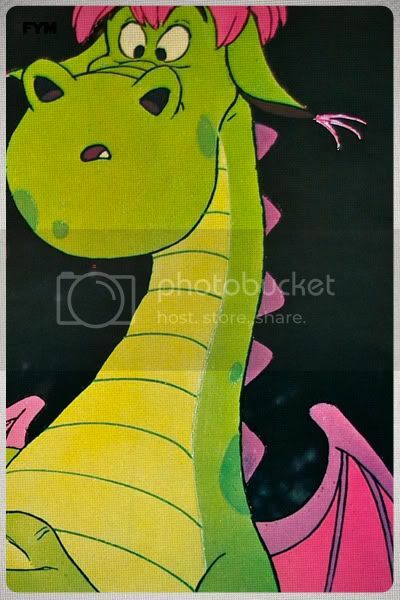 Pete's Dragon is a campy Disney Classic, filled with rich colors, cheap showtunes, and old-school non-digital animation. It's a simple story of a an orphan on the run from his abusive adoptive parents, roaming on the outskirts of town, who likes to feed his protector -a mighty green dragon named Elliot (with purple hair and wings) big red apples, and play tic-tac-to on his belly. During his journey's with the green dragon, Pete continues to encounter misunderstanding from an equally abusive society, and is cast out into a cave by the beach. But as fate would have it, Pete's luck changes, as Nora the towns lighthouse keeper (who lives with her drunk father) crosses paths with Pete and takes him in. It's a long, slow, visually-striking Sunday afternoon burner. 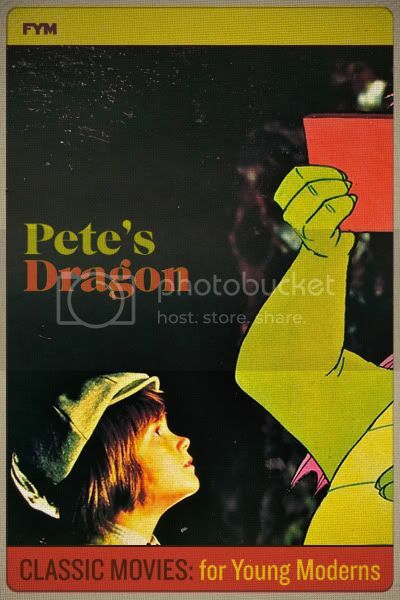 Pete's Dragon flourishes with psychedelic charm, and a strange storyline geared towards children, and free thinkers alike. It's a fun movie that has aged well, and in the end delivers a positive message- Even if things seem bad, hang in there, things always get better. A nice thought to think about on Easter Sunday.